In Canada, the impact of climate change is becoming increasingly visible. In a speech last year, the Deputy Governor of the Bank of Canada spoke of “material and pervasive effects” on the Canadian economy, pointing to a confluence of climate-related weather activities in increasing number, ranging from forest fires, storms, droughts, invasive species and road closures to warming weather patterns—all of which pose potential risks to investors. Research sponsored by the federal government estimates that the cost of climate change to the Canadian economy will reach between $21 billion and $43 billion by 2050. Little wonder then that investors are becoming increasingly concerned about the material risks around climate change. In December 2015, the Financial Stability Board (FSB) established the TCFD to develop voluntary, consistent climate-related financial risk disclosures for companies to use when providing information to investors, lenders, insurers and other stakeholders. The final recommendations of the TCFD were released in June 2017 after a collaborative process of global stakeholder consultations. Last year, as part of its 2018 reporting framework, the PRI incorporated pilot climate reporting indicators based on the June 2017 TCFD recommendations. The aim was to improve industry disclosure and enable investors to implement TCFD guidance. In total, 480 PRI signatories (from 1449 globally) completed the indicators in the 2018 Reporting Framework, of which 28 were Canadian signatories (From 88 in Canada reporting). The 2019 PRI Reporting Framework will continue to include pilot climate reporting indicators based on the TCFD. The indicators will be updated to incorporate signatory feedback including the need for streamlining and more practical guidance. The PRI will continue to drive TCFD implementation across markets, encouraging regulators, companies and investors to advance further. Last year, the PRI, in conjunction with Baker McKenzie, produced a local review, which looked at the recommendations from a Canadian perspective. The review found that Canada’s existing regulations requiring climate disclosure are not yet consistent across sectors or in relation to the scope or medium of reporting. As Canada has been relatively slow to implement comprehensive regulations incentivising or compelling companies to consider and disclose climate risk exposure, adoption of a clear framework consistent with the TCFD’s recommendations is likely to assist significantly in enabling companies to understand the ideal scope of their disclosures and to integrate climate risk awareness into their businesses and existing (or developing) reporting systems. Such a framework would improve the quality and consistency of information available to investors, particularly in terms of identifying vulnerable and less vulnerable companies, and particularly companies which are regarding the transition as an opportunity to improve their sustainability and attractiveness to investors. Climate-related disclosures made as part of mainstream financial filings will not only ensure the quality of information disclosed, but also promote and normalise the inclusion and importance of this information within the corporate and investor communities in Canada, in the context of this slow evolution of regulation on the subject. Additionally, detailed and commercial disclosures will maintain and perhaps improve investor confidence, due to the ability to consider and rely on the types of information the TCFD recommends be disclosed by all sectors, including climate risk consideration at a company’s board level, how climate risks and opportunities are contemplated by the company’s strategy and its risk management processes, and the quality of the company’s methods for measuring and monitoring the impacts of those risks and opportunities on its business. The disclosure framework would be widely adoptable across sectors, enabling clearer and more consistent comparison between companies within a jurisdiction. 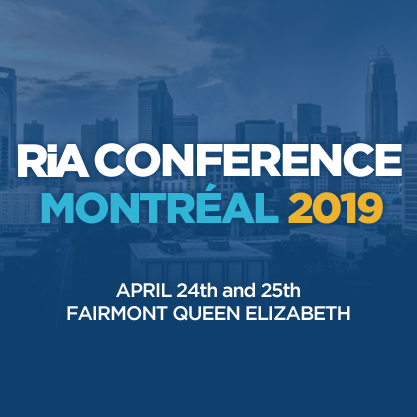 This is likely to assist Canadian companies and investors in carrying out effective disclosure and in understanding disclosed information despite Canada’s multiple sub-national legal jurisdictions. Given Canada’s unique position regarding climate risks, including its large area and diverse range of likely physical climate-related impacts, and its natural-resource reliant economy, adoption of a reliable and transparent disclosure framework will be a central element in its smooth transition to a lower carbon economy and maintaining the stability of financial markets as the transition occurs. The report recommended that federal and provincial regulators including the Canadian Securities Administrators, to endorse the TCFD recommendations, and that the Toronto Stock Exchange and TSX Venture Exchange should reference them in their reporting guidance. The report further noted that Canada currently has limited corporate disclosure covering ‘ESG’, or environment, social and governance factors—those elements used to measure the sustainability and ethics of a business. In addition, climate change tends to be grouped under the rubric of environmental requirements, but not addressed as a stand-alone concern. It concluded that Canadian climate disclosure is “progressing relatively slowly”. Implementation of the TCFD’s recommendations will assist the financial sector, and those areas of the non-financial sector which face additional risk exposure during and after the transition to a global lower carbon economy, to understand and act effectively upon material climate-related risks. Based in Toronto, Nalini manages signatory relationships across Canada and leads the local strategy. 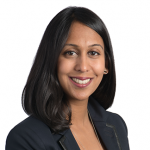 Nalini has over 11 years of experience working with financial institutions across Canada and Europe. Most recently, she was with BlackRock Canada managing institutional relationships with pension funds, endowments and foundations and leading impact investing initiatives locally. Previously, Nalini worked in London with Roubini Global Economics and Gerson Lehrman Group, firms providing alternative investment research to traditional sell-side offerings.